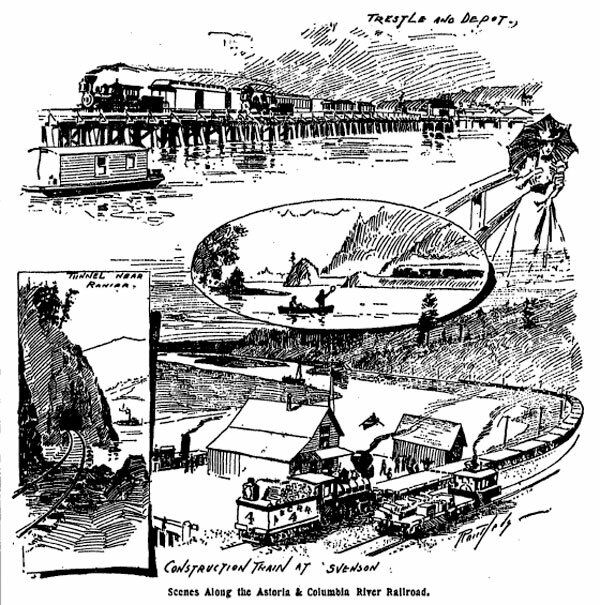 Astorians celebrated the completion of the Astoria and Columbia River Railroad, connecting Astoria to Portland via a route following the Columbia River, on April 4, 1898. The first train from Portland arrived, carrying 700 people, on May 16, 1898. Astoria and Seaside had been connected by railroad since 1890. With the completion of the Portland link, tourists began arriving on the coast in droves. Seaside became a resort town, expanding from hundreds of residents to thousands during the summer months. Astoria became an important hub for the timber industry, which with the arrival of the railroad had access to the forests of the Coast Range.